Phoenix released the single "Trying To Be Cool" (along with video) from its latest album, Bankrupt!, early last month. Now there's a remix of the track that features R. Kelly. The remixed track below isn't terribly different from the original, but R. Kelly's added vocals are a nice touch, especially with his perfectly Kells-ish lyrics about grabbing a few honeys in da club. 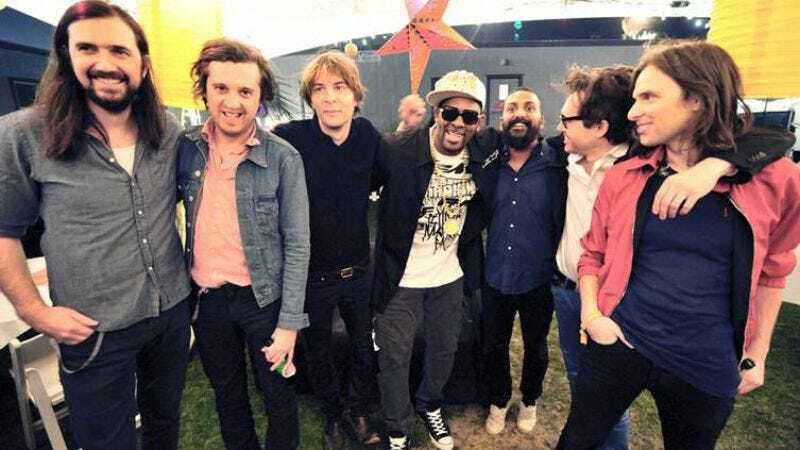 The French quartet joined the R&B powerhouse on stage for the first time this past spring at Coachella, where they performed a surprise "1901"/"Ignition Remix" mashup. Reportedly they hadn't even met before being on that stage. Phoenix is also currently touring in support of Bankrupt! Dates below the track, R. Kelly not guaranteed.